Legendary Jamaican artist Pablo Moses releases his most musically diverse and lyrically potent album to date. Co-Produced by Groundation frontman Harrison Stafford the album features top reggae musicians including Dean Fraser, Dalton Browne, Robbie Lyn, and Desi Jones all lending their voice to this masterpiece. Recorded at Mixing Lab Studios in Kingston, Jamaica and final mix and master by world renowned engineer Jim Fox (Lion & Fox) the album soars to sonic heights. 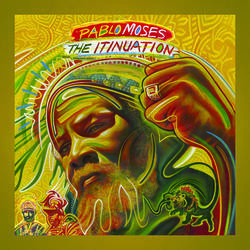 Pablo Moses' voice sounds clean and strong displaying all the focus and confidence of his more than 40 years in the business. This is the album that all reggae lovers will be talking about in 2017; The Itinuation.